Mesa Laboratories Inc. is a growing, highly profitable, public company based in the Denver-Metro area of Colorado. Since its inception in 1982, Mesa continues to develop, manufacture and market high-quality process validation and monitoring instruments and consumables. From Fortune 500 companies, to high tech start-ups, Mesa Lab’s products are used to assure product quality, control manufacturing processes and to solve problems in niche markets. Such markets include: healthcare, industrial, pharmaceutical, medical and food processing applications. 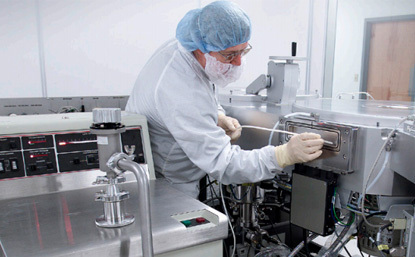 Mesa Labs’ products are characterized by technical excellence and superior industry reputations. Mesa’s General Counsel remains affiliated with a New Jersey law firm which is a member of Primerus. It was through that affiliation that Mesa found its way to HH&S. Certainly, experience and competence share first place. Timeliness/responsiveness would fall closely behind. What was your first impression of HHS? From the initial introductory/“get to know you” emails and telephone calls, the professionalism, responsiveness, and quick assessment of Mesa’s needs by Mike Henry and his team left a first and lasting positive impression. We are now working with HH&S for the second time on a Canadian acquisition. Through our prior transaction and the current one, HH&S has and continues to demonstrate high standards of professionalism, work product and client service. With its recent acquisition of the Infitrak business, Mesa has now expanded its footprint into Canada. This is an exciting time at Mesa, but when faced with navigating the legal differences between the US and Canada, I feared the acquisition could be a daunting task. It was very reassuring having Houser Henry & Syron as part of Mesa’s acquisition team. With its breadth and depth of experience in handling transactions of this type, HH&S was a strategic partner to Mesa in getting this deal closed. Its professional staff quickly evaluated our needs, and responded with timely, practical, and effective counsel and advice, freeing us up to focus on the bigger picture. Houser Henry & Syron will continue to be our “go to” law firm as we grow our business in Canada.